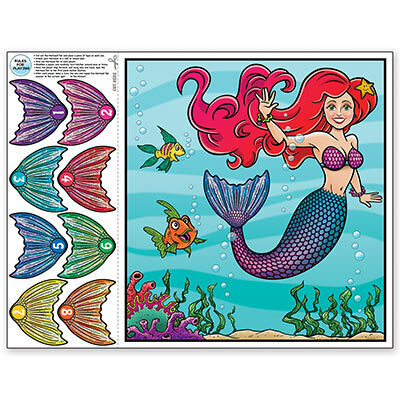 Pin the tail on the Mermaid kids party game for Little Mermaid parties. Game includes a Mermaid poster 48cm x 44cm approx. 1 Blindfold and 8 numbered Mermaid tails.